I have some kinda cool stuff from my collection as a kid. Once I started re-collecting and I found some of this old stuff it made me so happy! Check your local Hot Topics stores, as theyve got several TMNT t-shirts and hoodies. You may want to check more than one store, as not all have the same shirts, some have different ones. Good luck if youre interested. i had a really cool backpack when i was in the third grade or so, it's shaped literally like a halfshell. it's green and has shell patterns on the back, with the side that touches your back colored yellow and all four turtles on the middle pocket. my nephew is using it now...lol, it's been around for at least 10 years. i should snap some pic of it some time when he comes over. Wait-a-minute. Are those Adolescent Radioactive Kung-fu Hamsters comics? 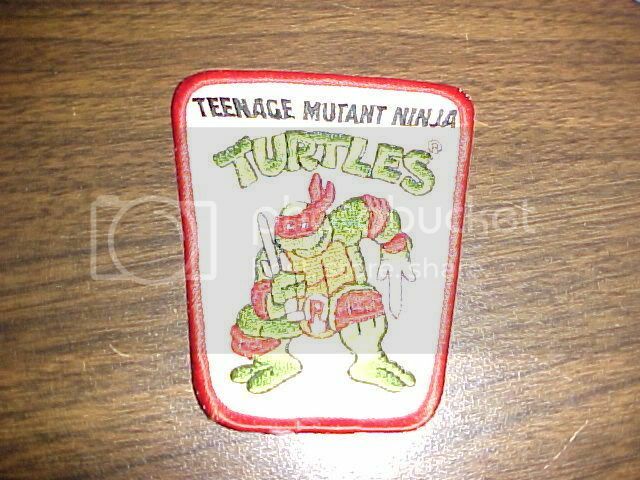 I have the first 2.
i really want tiny TMNT manhole covers as studs, or something. the head of a turtle would be fine, or even a ninja star...as long as it's made of a metal other than silver/gold. no luck finding any of them. ...and that's how they defeated the thing that wouldn't leave. I'd be stupid and get my ears pierced again for those. OMG. 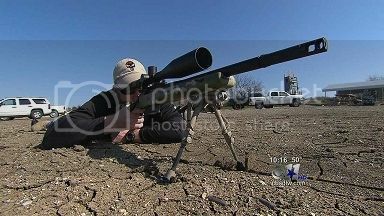 I still got him! But he's not as nice looking and clean as yours is. 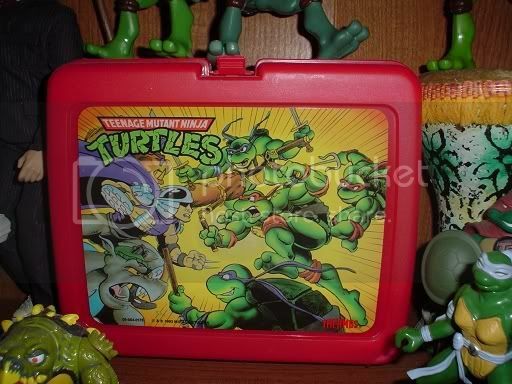 A long long time ago, I had an old Ninja Turtles lunchbox. 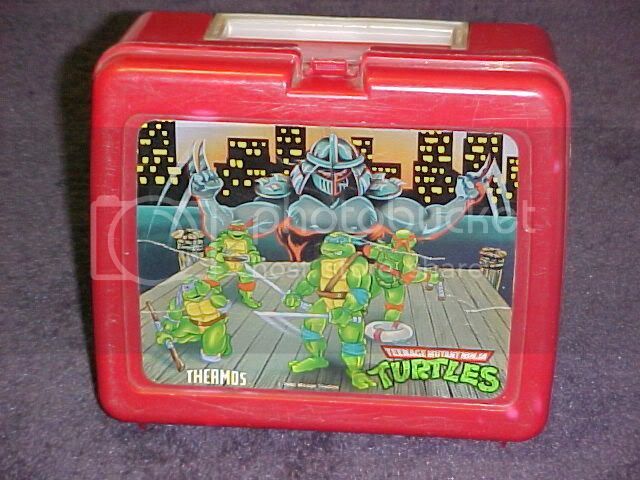 My memory is so good that I remember the picture on the lunchbox. It's the 4 turtles with their respective colors and they're standing on a dock in fighting position facing forward and in the background is a giant Shredder but its not the shredder from the animated series. Yeah, it's gotta be one of my favorite collectibles. Yay! Archie tmnt! soooo awsome hehe only odd thing is though shredders mask being off!